Watchdog you mentioned the cost of tuition. I have not seen a school brochure. What is the tuition and are there any additional cost? The rumor has it that this school is only for the rich. That the reason for the school is to attract rich people who will join our church. Money seems to be the main purpose behind having a Christian School. If FBC JAX truly wants to educate churchmember's children, then Mac needs to keep the tuition and costs LOW. And if they are really intending this school for church members, they might even subsidize the school. If the school is only for the rich, church members, do not support this ministry. You do not need this headache. My question is, where is the football field? Is the field in St Johns County. Is the church moving to the country? Who is giving the land to FBC JAX? Or, is someone going to give the money to Mac and will Mac own the school. 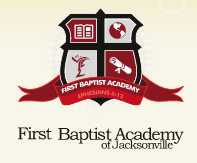 By the way, If FBC JAX is a corporation, who owns the corporation? Tuition information is now available on the school website. The tuition is not sky-high...it is set low enough to compete with Providence but not low enough to compete with other Christian schools around. actually the tuition is quite low. so scared to admit that huh? for fbc members it is only $200 dollars more per year than Mandarin Christian School which is well known and respected in the city. Anon 3:22 can you answere any of 2:51's questions? Mandarin Christian has been around for over 10 years and has its own campus in the safe and beautiful suberb of Mandarin. It is K-12 and has the latest technology, computer labs, and sports programs. Why would I pay MORE to go to a school DOWNTOWN that is a start up and can not offer what MCS offers? Readers - this school is NOT about reaching the lost. Ask the administrators of ANY Christian school what percentage of its students and families attend the church? Less than 5%. The rest send thier kids to the school but attend church elsewhere. And what LOST person would pay so much money, AND drive downtown just to get the FBC Jax brand. Even Christians are turned off by the brand, imagine the lost. So, no the school is not about reaching the lost or educating its own children. It is about Mac Brunson wanting someone to come up to him someday and tell him they attended FBA Jacksonville. It's all about Mac. And you all just have to fund it all! Providence - near the beaches/intracoastal west area. University Christian on the Southside. First Coast Christian in Orange Park and the Westside. These are well-established, reputable schools. All have much more to offer and most cost much less and are much closer to your community. Driving downtown two times a day, five days a week can get old very quick. the security of the church is not outsourced. the head of the security is a two time purple heart recipient and retired marine. whenever the church campus is open - security is there. when the campus is closed - it is locked tighter than ft. knox with jso on call should an alarm go off. just thought you would like to know real information instead of what watchdog thinks they know. 1. To what degree are the trustees of the school with each other about the school and its future? 2. Will the school's academic program be accredited? When--how soon after the school opens? 3. What licenses will the faculty have? In what way will the other staff members be qualified for thei positions? 4. Will additional custodians be hired by the church in order to clean up EVERY DAY after students have been on campus--including as long into the night on Sundays to turn around everything for classes again on Monday? 5. Are there computers, how new are they, and who will maintain them so that they function continuously? 6. What extra-curricular activities will be scheduled, and who will staff them? 7. What are expectations for parents and fund-raising for the school? 8. Who is the head of the school?--the headmaster or the senior pastor? Who do I see if I am dissatisfied with how the school treats my child? 9. Will a hot lunch be served every day--and, if so, at what price? 10. What percentage of the congregation supports the idea of a school, and what percentage will enroll their children? Is it just me or when you hear Headmaster do you think snob-o-torium from the Northeast. You apparantly have the undivided attention of the deacons and trustees @ FBC based on the letter posted on the website. It is a bit odd to put this love letter on public display. The meaning of this is very obvious - they need to quell the rise of concern they are hearing from members about what is going on in the church. The best defense to anything is a good offense. So gather the troops and put out a letter that upon reading people of any discernment will scratch their head and go "why"? Did Lindsay or Vines get a public love letter from the Chairman of the Deacons and the Trustees patting them on the back and giving them "atta a boys"? Absolutely Not! They would be insulted - they were grown men who didn't need to be coddled or given some weak/feeble attempt to validate what they were doing. The evidence was in the success of what they were doing - people responded through the annointed messages and thought provoking dialogue. This letter on its face is evidence that something is going terribly wrong @ FBC. It's like a power play to all of the members at FBC. They had to even spell out some of the controversial issues to make sure the people knew exactly what the purpose of the letter really was about - these are the changes and we are lock step with the pastor. I am convinced that the small group leading this church can hear the rumbling of concerns from the congregation these changes are creating. They feel and sense that it's just a matter of time before more and more begin the exodus from FBC - they HAD to do something. In my humble opinion - Bristowe and Soud blinked. This is simply the beginning. I don't defend the Catholic church. I don't recommend the Catholic church. I understand the vast theological differences between Baptists and Catholics, as do MOST people at FBC Jax. is writing articles the very week registration opens at the school to declare the Catholics a "cult" and declaring priests as "cult leaders" - and by extension all Catholic church members are "cult members"....this is COUNTER PRODUCTIVE to the mission of our church and school. What makes this almost comical is this: We are paying hundreds of thousands of dollars to the A-Group for "sales and marketing" and "brand management"...shouldn't A Group be on the red phone hotline with Honey and Mac telling them to reign in Jumbo Jim and his Catholic Cult series...at least until after we have signed contracts of people to come to our school? At another church with a similar school: when seeking to add the high school grades, a town hall meeting was held. The majority of parents present, all members of the church, admitted that their own children wouldn't be attending--as the families couldn't afford the tuition (some wouldn't have chosen the limited academic/athletic program even if they could afford the tuition). But, as the matter was a church-related one, they wanted to know what was happening, to have a say-so in it, and to be told all the truth/thoughts of leaders on the matter. The leaders were prepared for the meeting, having anticipated fairly accurately what questions would be raised--so the meeting was, as a result, a short and non-explosive one! The leaders stated that the school's primary purpose would be the church's primary purpose: sharing the good news of Christ with the families involved, and it has to be admitted that that has happened over the years since. Dollar-for-dollar, it's much more expensive per convert to Christ than other evangelism efforts (and a TON more complicated); that church still considers the effort worth it somehow, the school pays its own way now (for the most part), and the families indicating they wouldn't enroll their children haven't done so. Some church school families even enrolled their new freshmen in nearby public schools rather than in the new high school due, not to disagreements about having the school, but because of the always-going-to-be-too-limited offerings of the church's school. Otherwise, important considerations are (in no particular order): (1) Will the children of the staff of FBCJax be permitted to attend the school tuition-free and, if so, how will those staff members be gotten involved in the administration of the school so that the tuition-free benefit isn't considered taxable wages? (2) Well-meaning Christian school actually can be quite oppressive to the students; how will this be avoided at FBCJax so that students enrolled really WANT to attend there (the smaller class sizes and fewer friends--almost none from their present schools--will work against students WANTING to be there)? (3) Will licensed teachers be paid well-enough to prevent continual turn-over and lower the quality of the school? (4) Is scholarship assistance to be made available to families requiring it? (5) What printed curriculum will be used, as choices are fairly limited for Christian schools (ABeka, Bob Jones, etc.)? (6) The custodian thing mentioned above (will need more of them--and they will work MANY more hours) is for real; has it been considered carefully? (7) Recruiting must take place ALL THE TIME, even till the last week of each semester; who will do it? (8) Will development/advancement/fund-raising be the responsibility of one person hired for the task?--Expect money troubles if not; (9) Accreditation is NOT an easily-achieved thing, or one completed in a short time--and few parents, if any, want their children to attend a non-accredited school; how is that being addressed? (10) When money problems or other troubles arise, will the school be termed a "mission," or will it be termed a "school"?--few parents want their children to attend "a mission," though many would be OK with their kids attending "a school on-mission" (my experience: the school is a school when there are no money problems, but its trustees will call it "a mission" when there are money problems)? Best wishes, all. You got your work cut out for you (the joys of being a church of the size or with the potential of FBCJax)! The "love" letter from Bristowe and Soud was a marketing strategy, pure and simple! So they are all behind Team Brunson moving forward with rose colored glasses. Guess that shut you up, huh WD. I hope not. Great post Anon, thanks for your insights. One of the most important, obvious questions: what accreditations are now in hand, or have we only made application? When will there be a decision on accreditation? There can be no accreditation already in-hand before a school even has begun. Application could be made, but not be in place. This is important as parents who opt to enroll their children in FBCJax's school BUT opt to re-enroll them in public (or other private) schools essentially will have wasted their children's time at FBCJax's school (at least, from the perspective of those other schools' administrators--and certainly on the secondary school level) if accreditation isn't in place. There usually is both considerable expense AND time involved in securing/maintaining private school accreditation; however, the headmaster hired should be pursuing these things now. FBCJax's school CAN be the best small private Christian school anywhere in the nation if it so chooses--or anything else it desires--but NOT without great leadership from all necessary parties. It otherwise will be another "what's the point?" kind of institution sapping resources which can be used better elsewhere--something NOT deserved by its students. The church's members need--and should be offered--some say-so and all pertinent info about the matter. Wise administrators and other leaders obviously will make certain they have it. OK. Just viewed the school's new website. I see "start up" about which I am less than impressed--though more might be happening than the website seems to suggest. Even if I am a member of FBC-Jacksonville and like the idea of a Christian school education for my kids, why would I choose what I see being promoted at the website--especially if other established schools already offer more and are closer to my house? I'm just asking. Right now, as much as the school looks like a thing some really want, that doesn't mean it's going to become a reality. It'd take more for my family to choose it, because of its cost. All of the concerns addressed by everyone on this blog in regards to Christian schools is great and points are well taken. I have had the misforture of attending several "Christian" schools over my years. I won't mention any ones in particular - some are now defunct, but my point is the whole purpose behind many people sending their children to Christian schools is not even one of a spiritual nature. It is to avoid having their adorable Susie & Johnny go to a public school - expecially for those that are in not so desirable areas. Many of these schools - maybe not all - are predominantly white. In addition, I have personally witnessed the contention that can arise between church and school on several different occasions. If it is an outreach ministry of the church it says more as to who they are looking to attract - fairly well to do families who can afford the additional cost (especially in these difficult economic times). If these same people (the churched ones in particular) were to bring their children to church on a regular basis they would be grounded in biblical teaching and have good spiritual influences without having to endure the legalistic stylings of a "church school." Church schools separate people more than they unite them! I don't know if you've visited the FBC Jax website, but there is on the front page a letter from the President of the Trustees, A.C. Soud, and the Chairman of the Deacons, Dave Bristowe, expressing the "THANKS" they have in their hearts for the incredible, wonderful job Mac Brunson is doing. Remember people: we must view everything that is done with a skeptical eye, as to the "marketing" strategy behind it. I wonder if that letter was the brain child of the two men whose names are on it. I mean really, its one thing to express thanks and love to the pastor...but the detail that they go into about WHAT it is they are thankful for sounds disingenous to me. Why? Because most of the things they say about Mac and how great he is AREN'T TRUE. This looks to me, and I could be wrong, but it looks to me like an attempt to manipulate the average church member who is beginning to get concerned over Mac and his antics. This letter is a way to try to show the congregation that despite people being concerned over Mac's leadership, he has the full support of the two top lay people. This looks more like a letter composed by Trey or Honey and passed to A.C. and Dave for their approval...especially since the first version posted on the website had some editing comments in it until the church took it down. I challenge either man to post here and say that they stand 100% behind the content of that letter, and maybe even address a few of the comments below. "Thank You, Dr. Brunson, Staff, and Members:"
A bit premature, don't you think? Let's hold our thanks until we see how it goes. It is NOT established. There is no school yet. No students, no teachers, no computer equipment. Just an unannounced vote to take $500,000 form the general offerings (which we don't have) to hire the headmaster and pay the A-group for a website and promo videos and a sales and marketing strategy. No accreditations yet...so nothing has been ESTABLISHED. "thank you...for your personal integrity in assuring the transparency of all operatoins of the Church and its ministries." Oh my..."humility"? The guy is the picture of arrogance every week. This makes me wonder, who is writing this letter? This is a letter written to counter the claims on this blog...they say he's arrogant on the blog? Let's put in the letter saying that MOST OF ALL we are thankful for his humbleness. Give me a break. "We know you have come to realize that the people of FBC Jax are some of the most faithful, dedicated, and loving folks on the face of the earth." Dave and Judge Soud, you left off "most legalistic, most past worshipping, biblical illiterate, scared, poor listeners, 'sitting and not doing what the pastor says', non loving..." and so many other things that pastor has accused us of, both in the pulpit of FBC Jax and out of it. He "built a case" against us to tell us just how sorry we had become right before Chest of Joash, then followed that with a sermon to tell us HOW AWESOME HE IS IN ALL THE INITIATIVES HE HAS BROUGHT. All you have to do is watch his preaching and his condescension and its so obvious to see how little he cares for his congregation and what his low view of us is. So there you have it...another manipulation technique...let's use "Thanksgiving" as a way to express "Thanks" to the pastor for being the great wonderful leader that he is accused of NOT being on the blog. The only problem is this: just saying something, and putting it on the FBC Jax website doesn't make it so. We are much smarter, Mac, Honey, Dave, and Judge Soud, than you give us credit for. I suppose we can now look forward to seeing a commercial for Ginger Soud's real estate company as compensation for the "love" letter. No, the love letter was payback for the Time to Stand for Israel. Is the pastor accountable to any body at all in the church? Are the trustees and deacons just bodies whose purpose is to prop up, coddle, defend, and support the pastor? Christa Brown said: "Similar to the dynamics of families with alcoholism, co-dependence often causes many church members to turn a blind-eye and cover-up the grievous wrongs of their religious leaders. It has virtually nothing to do with theology. The church-members' co-dependent behavior allows them to maintain their own myth of security, safety, and belonging, and to avoid the uncomfortable conflict that would arise if such things were brought out in the open. This extremely common dynamic of human behavior -- and of group behavior -- is why their must be some outside mechanism of accountability when serious allegations are raised against a religious leader." Amen! Christa's point helps explain all that we are seeing. WD and readers - that letter on the blog was similar to what coaches receive from an owner when they are about to be FIRED. It is called the dreaded "vote of confidence." The owner comes out and tells everyone what a great coach the person is and how lucky we are to have him. Then, when the coach continues to lose one more game, he is fired. IT IS OBVIOUS THAT Maurilio or Gina Ford, or a family member of the Brunsons knew that public relations was being hit hard on this blog due to Mac's behavior so instead of coming here to defend him, OR ASK HIM TO BE MORE LOVING AND TRANSPARENT, they constructed a letter and had two of the biggest brown-nosing yes men in the church sign it as if they had written it. Sorry Dave and A.C. - your reputations and signatures don't hold the weight they once did. You both have lost any respect you earned over the years before you became whipped puppies for Debbie Brunson. "Transparent in all operations," "humility before the Lord"...laughable. And not the kinds of things a simple, loving thank you letter to the pastor and staff and members would contain had it been written from the heart by any member or leader in the church. HOW GULLIBLE AND STUPID DO YOU ALL THINK THE MEMBERS ARE? Never mind, don't answer that. Your letter tells us the answer. WD - you should make that letter an entire separate post. It clearly shows how brazen one or two people have become to LIE and MISLEAD about what is going on. Supporters of Mac Brunson - have you ever heard him apologize for ANYTHING he has said or done over the past 3 years? No? Does that mean he has never had reason to and he knows this? Then that means he is arrogant and certainly not humble. Most humble men would admit mistakes and apologize. Unless they are claiming to perfect...is he? Are you? Thank you so very, very much for your unyielding spirit in confronting evil deeds and aspiring giants. Your super imagination and endeavors to bring about justice and let right be done is more reliable than any mega church pastor or group worldwide. We appreciate your graciouness, humility, and strong stand for righteousness it is beyond parallel. Thank you for all the hours of hard work and the manner in which you allow all to visit and take part in the blogosphere that you painstakenly have developed, shared, prayed over. Allowing all of us who shared in the legacy of the Lindsays for sixty years, to post our dismay at the current regime. While you have only been with us for two years or so (as a blog. meister) it seems like ten or twenty years as we have learned so much from you. Your website is "fresh" and "cutting edge". We know througout the world, it possible that many have come and been exposed to the truthfulness expressed here. The end of each day is a high point for those of us who have the opportunity to dwell on your website. It is masterfully done with no pretense of ambition. Your openess and clarity is so refreshing. Also, your integrity and "blogging theology driven ministry" is second to none. Lastly, the transparency of your website is to be highly regarded as you never even allow us to know of your real name. I dub you the "Lone Ranger". I believe this speaks volumes for your trust worthiness, your insight into human behavior, your psychological awareness, your intuition, your desire to fulfill ministry rather than having some cheap program. It is much appreciated that you do not rely on marketing groups to aid you in proclaiming the truths that are backed by genuine concern for your fellow believer. Thank you again for your service and dedication to reach for the stars so unselfeshly. Its an honor to be one of your students. I would have liked to have had the thousands who subsribe to your site sign this letter, but did not want to go another day especially with Thanksgiving coming up tomorrow. WD: please excuse this diatribe at your expense. But, if they can do it so can we!!! You are a good sport to allow us to blog nonsense here just to show that the "yes" gurus are not the only ones that have a market on BS (bad stuff). BLah, Blah, Blah. Now THAT is funny, Anon!! That is truly pointing out absurdity by being absurd. Its been kept mostly a secret up until now, but one of the new "Next Generation" ministry initiatives is that our deacons and trustees have decided to produce their own movie about their experience at FBC Jax, soon to be released. Many of them in fact will be starring in it. The fact that the "yes men" put forth this "love letter" to the abusive pastor, and family, tells me they must really be worried, or, they are so arrogant that they think they can "put down" the uprising and discontent, simply because "THEY" have spoken. We are all now to feel relieved that the "yes men", are in control. I have observed these "yes men" for years and knew eventually they would show their less than stellar intelligence (just being nice). If someone has to write a letter of public support, to the pastor, then he is in worse shape than anyone wants to admit (in their camp). Has it occured to any one that the school might be a form of "job protection"? If Brunson leaves another preacher may not want to come into a situation involving the start up of a school as part of his responsibilities. So making it harder to find a pastor replacement. And if we are paying Brunson such a huge salary, how much more will another preacher DEMAND? So I gues it boils down to: If you get the church in enough trouble you don't have to leave!!! Who else wants it!!!! A movie? Really! May I have the popcorn concession rights? Please, Please! Are we going to have a gala premier? Who stars in this Epic? Wow, a movie!!!! !Do we get to give MORE money for this project? Who dreamed this up, the A,B,or C team? What happened to Christ centered preaching as the "main event", and the Word of the Lord as the "glue" that brings us all together to worship JESUS!!! Click here to view the first version of the "Love Letter". Looks like it was still being edited, and the person editing it didn't remove the edit comments. It was up on the church website for about an hour before they caught the error and changed it. Hmmm, who wrote this? If Bristowe and Soud did write it, why is it being edited down to the comma level? What else was edited? What happened to a post I saw this morning where it appeared you were responding to some other post and you said "Nice Try Weeping"
I posted mine @ 9:14...never saw it again. Weird. May I ask what the problem is with the church starting a school? People have wanted them to do it for years. All of these schools named that are considered "quality" christian education had to START somewhere. They would have never gotten to where they are had they never begun. I believe that within a few years the school needs to be self sufficient, not relying on church funds to keep it going. I think it will do this. I am just really not sure why the complaints about the idea First Baptist can have a school. You are an intelligent man, so some part of you must realize you are being disingenuous by equating concerns that have been expressed about your choice to label Catholicism as a "cult" to a reluctance to call sin, sin, or to an unwillingness to critically examine the errors of the Catholic religion. From what I know of your doctrine, I suspect that you and I would agree on most points, and I have the same objections to Catholic doctrine as you. But that isn't the point, and I believe you know it. The criticisms of your "Catholic Cult" sessions are not arising from the view that we should not publicly state our disagreement with Catholics. Rather, the concern is the inflammatory (and misleading) use of the term "cult" to refer to a historic, mainstream branch of Christendom. Yes, there is much to criticize and condemn in Catholic theology and practice, but to call the Catholic church a cult is inappropriate, and if you really don't know that from a historical, and theological perspective, you really ought to go back to the schools that gave you your theological credentials and ask them to refund your tuition, because they clearly did not teach you well. But, again, I believe you do know the truth on this matter, and are purposefully using inflammatory rhetoric to gain readership and attention for your blog. Seek to justify your choice all you wish, but the One who judges rightly knows the truth. And re: the FB Academy ... it is interesting that the school website indicates that it is part of the Southern Baptist Association of Christian Schools. According to that organization's website, Southern Baptist churches should start schools as a strategy for church growth and discipleship, and those schools should be "open to the children of their communities and sponsored/supported by churches and denominational entities so that any child could attend without regard to family income (just as we now do Sunday school)". That last part is not exactly the pattern Mac's school is following, huh? Re: the "Love Letter" ... I think it was originally intended to be directed only to Mac, and only as an afterthought did they add "Staff, and Members" to the salutation. The tribute of praise to their hero was already complete, but they thought later that if addressed only to him their hero worship might be a bit obvious, so they added "staff and members" to the start in an attempt to obfuscate their real intent. And, by the way, I always thought Thanksgiving was about thanking God, not your pastor. It's one thing to say "We thank you, Lord, for our wonderful pastor," and quite another to say, "We thank you, pastor, for being so wonderful." Big difference. Readers, in SBC there is never a dull moment. I only included portions that are relevant to fbcjax. "While your speakers correctly rebuke the Presbyterians for infant baptism I might remind you that the only area where southern Baptists have had an increase in baptisms is among 4 and 5 year olds! This is happening in "your kind" of churches. It is not the Calvinists who have built a convention of 16 million members, 4 million of which could not be found if your life depended on it. You have done this! This has happened on your watch! It is your fault! You have been in charge! "Your kind" of evangelism and methodology has produced this colossal number of unregenerate church members. In your church in Jacksonville and Johnny's church in Woodstock, less than half of your members come to church on Sundays. Why don't you stop blaming the Calvinists and take responsibility for your own actions! Your church is doing no better than the average church in the convention in this area. My guess is, your church has spent more money on interest on debt service in the past 15 years than it has on foreign missions. Don't blame the Calvinists for your lack of compassion for the lost and your unwillingness to sacrifice to take the gospel to the ends of the earth. I for one am sick of your duplicity and hypocrisy. Furthermore, don't blame the Calvinists for all the church splits. Was it the Calvinists that split Bellevue after Adrian died? Hardly! Is there any empirical evidence that there is a higher percentage of church splits caused by Calvinists than the other brethren? Not on your life! There is enough stupidity to go around. Calvinists do not have a monopoly on pastoral stupidity. " Please also read Jerry Vines reply to David Miller in the above link. Jerry Vines convened the conference to question Calvinism in SBC. David Allen gave a controversial lecture where he labeled some individuals Hyper-Calvinist (a pejorative term). Examples: James White, George Ella and others. And this created a ruckus in SBC and Calvinists in arms over the treatment they have received. Life is never dull at SBC. The "Catholic/cult thing, as you know, is a desperate attempt to deflect heat from a the real problem. Smyrl is trying to cool Mac's tail but even with all his rhetoric and education, Smyrl is charging hell with a squirt gun at this point. Mac's tail is on fire, and Smyrl's livelihood lies in putting the fire out. And now they have enlisted others with squirt guns penning love letters in an attempt to douse the flames. He certainly knows what he's doing. The very fact a machine that big will resort to whining says that what you are doing is definitely working. It has been said that sometimes truth hurts. There are some signs that truth is doing just that. Smyrl is squirming. His boss is the reason why. It will all come out. Keep on doing the right thing. You make excellent points. We do need to keep in mind that, with these controlling types of church leaders, if they can help it, nothing hits the public eye without a strategic reason. We have seen deflection used like this before, huh? I hate being cynical, but if we learned anything from the mess at Bellevue, it was that anyone and everyone can get thrown under the bus for the sake of the senior pastor. Thy Peace 7:39pm...Thanks for your input on the controversy surrounding Calvinism within the SBC. What I do not understand is why and how anyone (theologian or any believer) can forget that Jesus told Nichodemus "ye must be born again". The born again experience includes all humanity, not just Nichodemus. Why else would Jesus have said "Ye Must Be Born Again"? Nichodemus was religious but he was without salvation. He had to give his will over to that of accepting Jesus as God and Savior just like everyone else after the crucifixion, as his following the Laws, sacrifices, and religious training could not save him. Works is exactly that, works. Secondly, the words of scripture in Romans 5 vs 12-21 outlines that sin passed from Adam to all of us. It passed through the blood of Adam down through all mankind. That is why the second Adam, Jesus Christ, removes the sin that came through the blood of Adam and grace abounds even more. Because Jesus Christ had no earthly father the sin in the blood never passed to him. Jesus was free from sin and that is why his death on the Cross is the perfect sacrifice. We all need that great salvation. God so loved the world (everyone). Yes, and God knows everything from Genesis to Revelation and beyond, He wrote it. That's what makes him God and us just mortal until we get our resurrected bodies that will be like His. We see through a glass darkly today, but in heaven face to face. Lastly, in Eph. 6 vs 13 we read "In whom ye also trusted, after that ye heard the word of truth, the gospel of your salvation: in whom also after that ye believed, ye were sealed with that Holy Spirit of promise". That sealing last forever, and its called eternal life. Jesus said that "No man shall pluck you out of my hand". Notice as saved sinners we are in Jesus' hand and he will never forsake or leave us. He speaks this promise to us. Notice I never mentioned anyone's name: Tyndale, Calvin, Spurgeon, Moody, etc,etc. God is the authority not any man. Man has no part in salvation, except to believe and accept it. The Word of God has been around for 2000 years long before these men were born (at least 1500 years). God does not necessairly need you or me or anyone else to explain how to be saved as it is written down for all who will read the Bible. Reading the Bible alone has convicted many people. That's why we have the only true means for determining what salvation is really all about, the written word of God. Although Jesus did establish the church. And uses preachers and born again laymen to lead others to Himself. They also must trust the written Word for the message given to man. Again, thanks for you input. All should read the sites you suggest as the Calvinism and Anti-Calvinism is really not worthwhile to engage in giving it this much importance. Calvinism cannot and should not be believed by any serious Bible believer or any true Christian. It conflicts with the Bible on every page. A true study of the Word reveals the fallacy of Calvinism. My opinion is it lessens the real witness of the Word and the part the Holy Spirit has in winning the lost. Satan knows how to seperate us whether we be Southern or Independent Baptist. Calvinism's argument kills itself. If God chooses whom He will save, why did He go to the Cross for the sins of the whole world? Or why would He go to the Cross at all, if He had predetermined who would be saved? I like countless others look to the Cross and the perfect shed blood of Jesus the Son of God for my salvation!!! I personally believe if preachers would concentrate on pastoring their flocks, with strong preaching and Bible exposition, the churches would once again be filled even to the overflow. It's simply what Paul told Titus: Preach the Word. Too many are getting sidetracked on arguing, egotism, and works, anything other than preaching the Word. If Satan can get the preachers eyes off of Jesus then usually the flock will follow. And Junkster, the big problem with all this strategic manuevering is that this isn't an example from the Kingdom, as if it came from the principles derived from the Sermon on the Mount. No, instead, it just another disgraceful example of business as usual derived from the world. Self promotion and preservation, and collateral damage be damned. Almost $6K for kindergarden! Who do they think they are, Bolles? Additionally, why would I send my kid downtown unless my law office was in Blackstone or I was an executive in city gov-ment or perhaps a judge? For my money, I would send my kids out to Providence. Great facilities and annointed leadership, something baptist believe passed away. I wonder just how many people have posted comments like mine only to get this "Your comment has been saved and will be visible after blog owner approval." Are there not two sides to every story? Watchdogs, I am a member of FBC Jax and really don't understand why you attack our church and Pastor. I have been a member for over 20 years, very involved in church activities and service to the church and missions. I loved both Dr. Lindsay and Dr. Vines, and miss them dearly. Our church chose a new Pastor and for the most part our congregation was happy with that. As the son of a retired Church Music Director, having lived through several Pastor changes growing up, I can assure you no new Pastor, especially one following two heroes like we had, will make everyone happy. I know you find this hard to believe, but not everyone was a fan of both Dr. Lindsay and Dr. Vines, and that's ok. I believe Dr. Brunson to be cut from the same mold. He has not changed our church's Core values and goal, to reach Jacksonville for Christ. He constantly reminds us of our legacy and urges us to live up to Dr. Lindsay's expectations. You allege many things that are simply not true and be-smudge the legacy of a church who was and is reaching the lost for Christ. My daughter attends the school. I am certainly not rich, but the school is a college prep school, a covenant school intended for the body of Christ to have a safe, college prep education for their children, grounded with a Biblical world view. A covenant school is one where at least one parent must be saved and have a personal testimony for Christ. We do not let anyone who wants attend. We are not looking for money. We are looking for Parents who want their children educated in a college Prep school with high academic standards and taught with a Biblical World view. I would put it up against any other Christian School in Jacksonville. The cost tuition is affordable, compared to the other Christian schools in Jax when you understand that books and many other fees are included. The Junior Academy is accredited and the 1-8th grade section is going through accreditation right now. Early indications are we will pass with flying colors. As far as Catholic students are concerned, as long as the parents agree with the schools statement of faith and understand the Christian tenets they will be taught, I expect they would be welcome. Because of the many fundamental differences our denominations have, I would not expect they would even apply. I would encourage any of the blog readers to come by and check it out. They would be impressed.